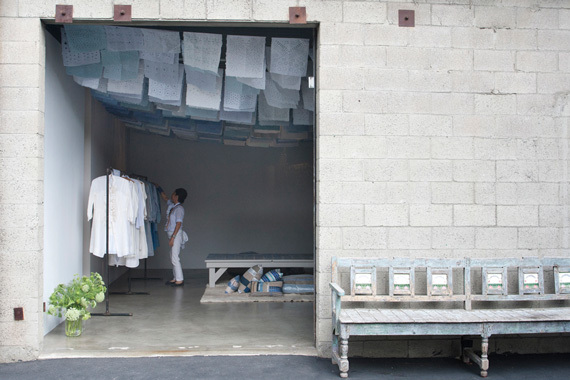 dosa at SMMoA was a month-long art installation and temporary shop presented by GRACIE, the gift shop of the Santa Monica Museum of Art. 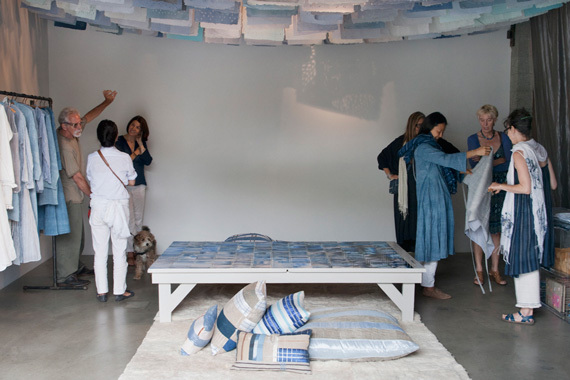 Inspired by cloud formations and open skies, the installation included fluttering papel picado strung across the ceiling in a spectrum of blue. 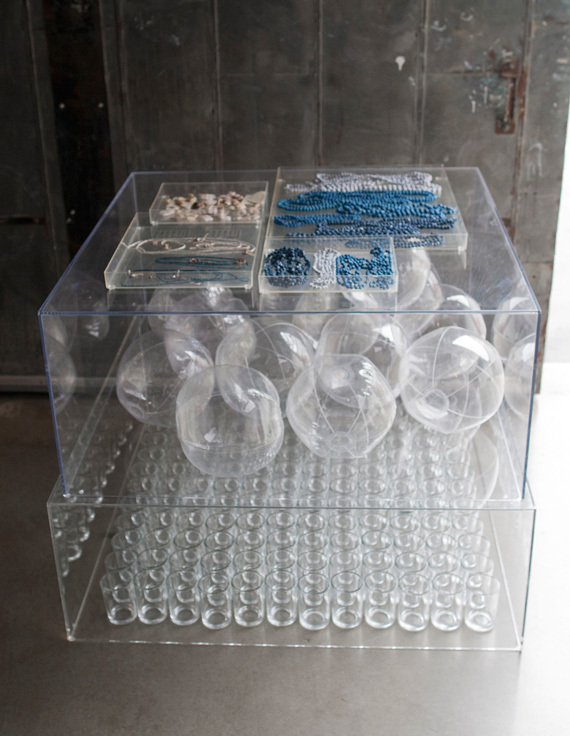 The entrance, an outsized sliding garage door, remained open so as to erase the division between inside and outside. 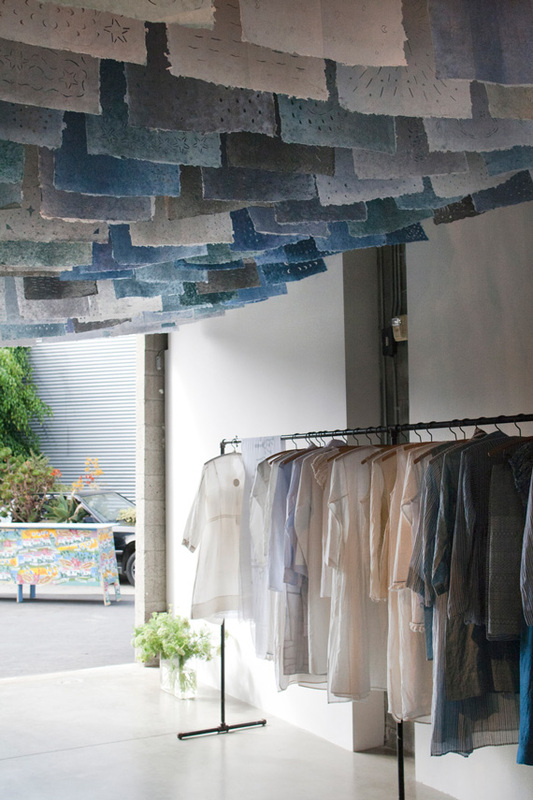 Passing breezes provided an unexpected soundscape of rustling paper overhead. 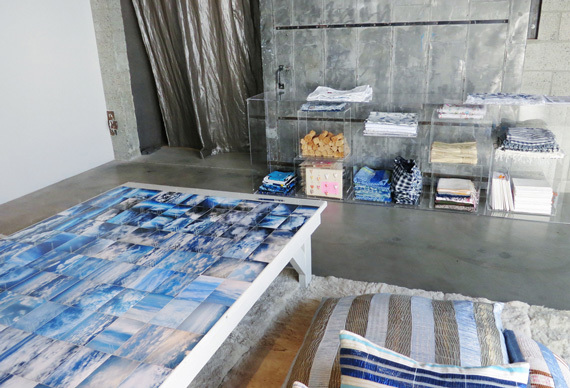 A presentation of Spring 2012, accessories, and housewares in shades of indigo and white echoed the blue vista above. 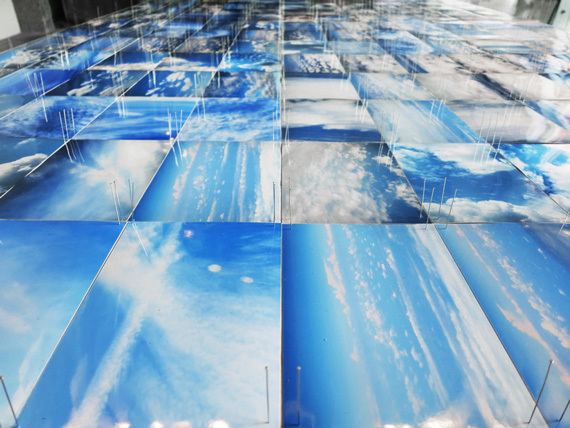 "between the clouds" was an interpretation of photographs Christina took while flying over Acapulco, Mexico. The photos were pixelated to isolate 15 distinct hues, which Christina then had recreated in paper by artisans of El Taller Arte Papel, a cooperative in Oaxaca that practices paper-making techniques using local ingredients. 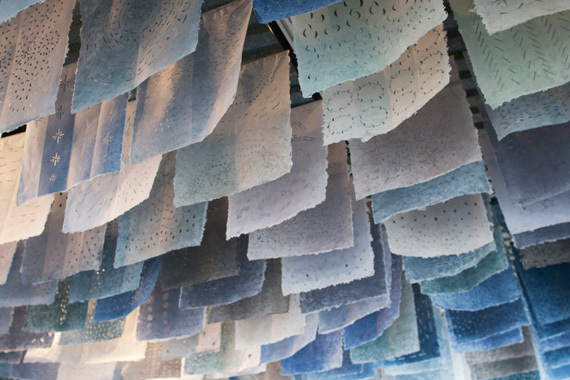 Five hundred papel picado were made, each sheet by hand, custom tinted, and decorated with freehand cutwork. 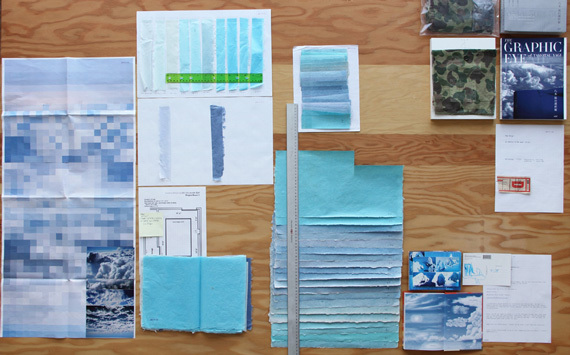 These 15 colors were also translated onto hand-dyed textiles used in the Spring 2012 line. 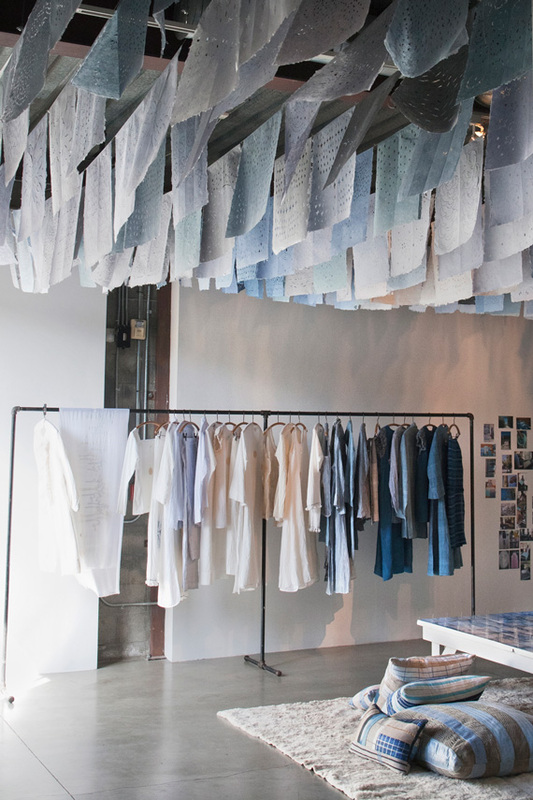 In conjunction with dosa at SMMoA, the Museum organized IndiGo Go Go, an indigo workshop led by Jane Palmer of Noon Design Studio, a natural dye house in Los Angeles and regular collaborator with dosa.